Hair loss is one of the common health issues of the modern era that affects confidence and general well-being of an individual. People panic a lot wondering what to do to get rid of this problem. With the hope of getting back natural hair or preventing hair loss people use different hair oils, shampoos, herbal or home remedies, and even medications. Sometimes positive results are obtained, but usually it takes a long time and regular care and in some cases no fruitful results are obtained. Hair loss is not at all a disease, but an outcome of different disorders. Different factors are responsible for hair loss including hormonal imbalance, stress, indigestion, malnutrition, sleep disorder, and also hereditary factor. Moreover hair loss is a natural process with ageing. However, many people loss hair at early life, which give them an older appearance and they become desperate to obtain a long-term remedy. Conventional approaches such as hair massage, shampoo, hair cream and oil, other herbal products, and medications are expensive and mostly take a long time to be successful. Nowadays, stem cell therapy is considered as the most effective treatment option for hair loss problem. Platelet Rich Plasma Therapy or PRP therapy is used for hair restoration. In this technique autologous (one’s own) blood containing platelets and growth factors at higher level than normal blood is used. The plasmais the fluid part of the blood and plateletis the cellular component of blood, which contains various growth factors for tissue regeneration, cell division, and wound healing. How is PRP therapy for hair loss done? Initially patient’s own blood is extracted and centrifuged to separate blood plasma from the blood cells (RBC, WBC, platelets). Plasma rich in platelets is then drawn off; this platelet-rich plasma contains 4 to 8 times the number of platelets than normal plasma. The PRP is then injected into the scalp with thin needle. Different growth factors in the platelets simulate hair growth naturally from hair follicles. The protein gets absorbed into the bed of hair follicles and thereby nourishes the hair follicles and gives them a healthy natural look and hair growth is induced within 3-4 months. Another important feature of PRP therapy is that it increases the blood vessel adjacent to hair follicular bed, as a result blood supply to hair follicle is raised and essential nutrients are supplied to the follicular cells. The treatment is efficient, risk-free, non-surgical, without adverse side effects and allows hair growth on a fast pace. Hence, many celebrities and even common people are nowadays heading to stem cell therapy clinics to seek treatment. 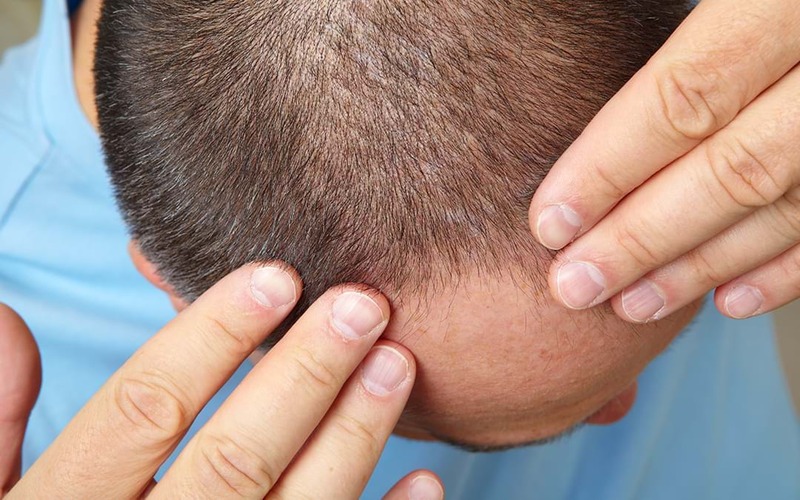 What is the prospect of Stem cell therapy for hair loss in Delhi?